"'I like everything but country.' It's the eternal refrain of high schoolers and idiots nationwide (don't even get me started on high-school idiots). But there's hope for the kids yet. 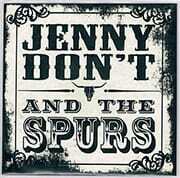 Enter Jenny Don't and the Spurs. Backed by notable Portland musicians—Kelly Halliburton (Pierced Arrows), Sam Henry (Wipers, the Rats) and JT Halmfilst (a jillion bands)—Ms. Don't, who previously played with Henry in the band bearing her surname, has released an album of 10 punky country hits that will blow the minds of those who only know the genre through Auto-Tuned CMT fare. The songs run the gamut from the lilting waltz of "Carry Me Home" to the garagey lurch of "Hot as a Desert," but are all grounded by a similar theme." "A band that boasts the ranks of Portland musical royalty (the Wipers' Sam Henry and Pierced Arrows' Kelly Halliburton) issuing its debut full-length would be noteworthy enough as is. 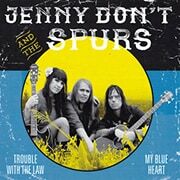 But Jenny Don't and the Spurs, whose self-titled album sees its release at tonight's show, will win you over even before you flip the jacket to look at the musician credits. Playing vintage country and western straight out of the lonesomest corners of mid-20th century America, Don't and her cohorts sound nothing like a museum piece; rather, there's grit, sadness, and an edge of danger to these rumbling-boxcar country songs. " 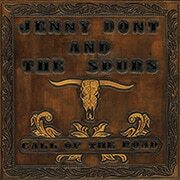 "Jenny Don't and The Spurs are a fantastic independent country and western quartet who sing heart wrenching songs about emotional turmoil wit passion and honesty. The quartet's debut self titled CD will make classic country western music fans extremely proud." "The Spurs are as on-point as a backing band can be, with a furious rhythm section and a tastefully eloquent slide guitar. While Jenny's voice would be at home with many of the indie bands in their native Portland, there's only one type of song it's meant for: cracking open that first PBR at the honky tonk. The band never slips into irony here: Jenny's heartbreaks and triumph are pure, filtered through the requisite veneer of propriety and sincerity of a 60s country singer flirting with a possible step over the line into outlaw music. Remarkably, it works. 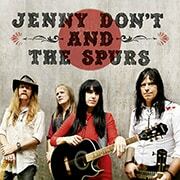 Jenny Don't and the Spurs proves that country is only as dead as we let it be."